Plot: After two big pranks, Bart is sent to France for 3 months as part of a student exchange. 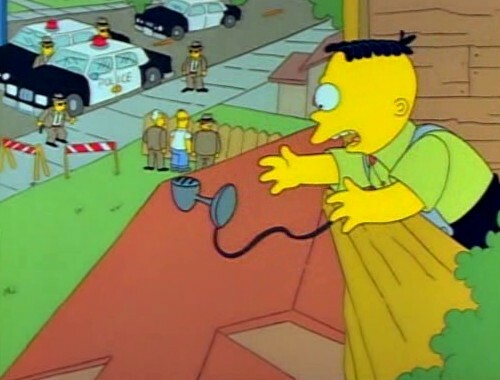 In return, The Simpsons take in an Albanian child, Adil. • Previous stories have been grounded in reality with family problems (wife cheating etc) but these are more wacky adventures – Bart becomes enslaved by bootleg winemakers, and Adil turns out to be a spy. • There’s a quick exchange where Homer and Skinner give out about Bart. This could’ve been a great scene all by itself. • The evil César and Ugolin put anti-freeze in the wine. This is a reference to the 1985 wine scandal where Austrian winers were found adding diethylene glycol (a primary ingredient of anti-freeze) to sweeten and round out the taste. It killed Austrian wine export (and hurt Germany’s too) for about a decade. • Great focus on Bart this episode – you are annoyed by his antics and bratty behaviour at the start, and feel sorry for him for how he’s treated. 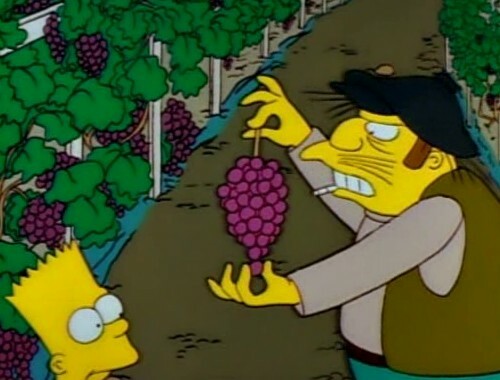 The sudden “I can speak French now” revelation with Bart is a little convenient, but in general, well done. • Some really solid one-liners in the episode. 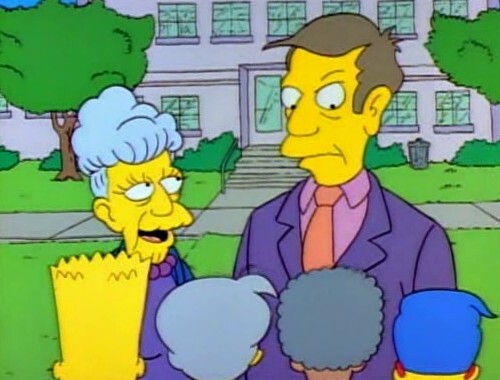 Skinner: You may find his accent peculiar. Certain aspects of his culture may seem absurd, perhaps even offensive. But I urge you all to give little Adil the benefit of the doubt. In this way, and only in this way, can we hope to better understand our backward neighbors throughout the world. Adil (addressing the students): Although, officially, I am required to hate you, I want you to know I do not feel it in my heart. Adil: No, no, Mrs. Simpson. You have been oppressed enough for today. I will clear the dishes. Overall: Adil’s story is more entertaining than Bart’s, perhaps because it’s more light-hearted. A well-written episode but not one I’d be clamering to re-watch.